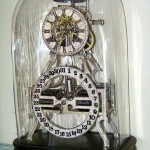 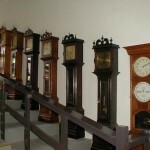 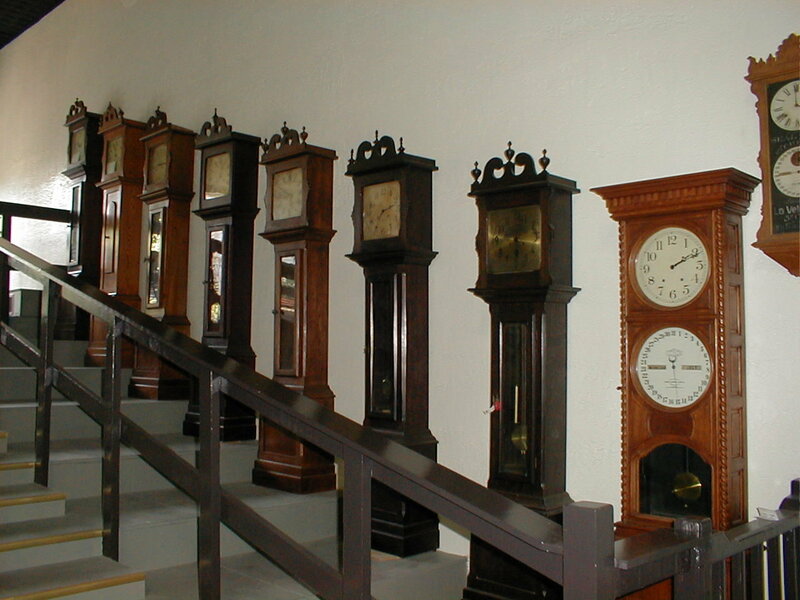 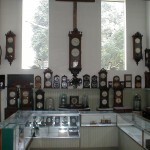 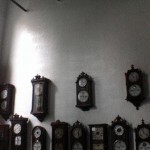 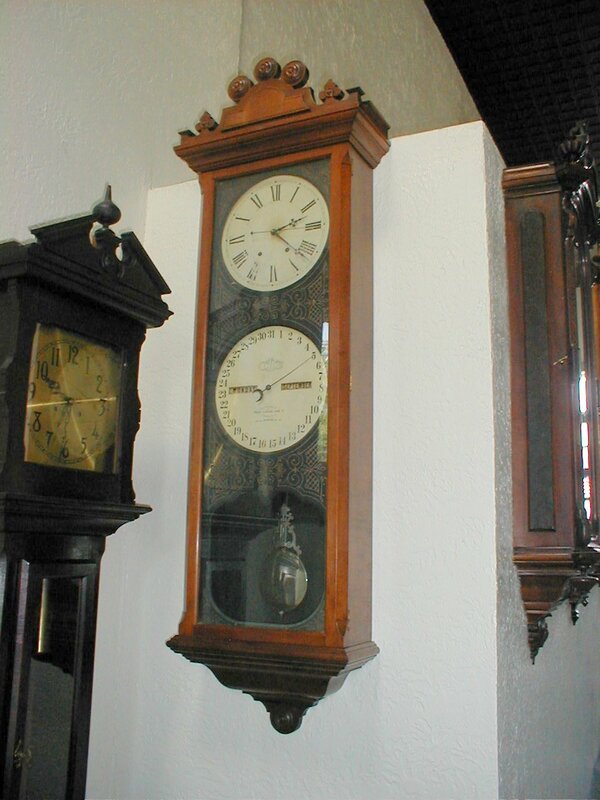 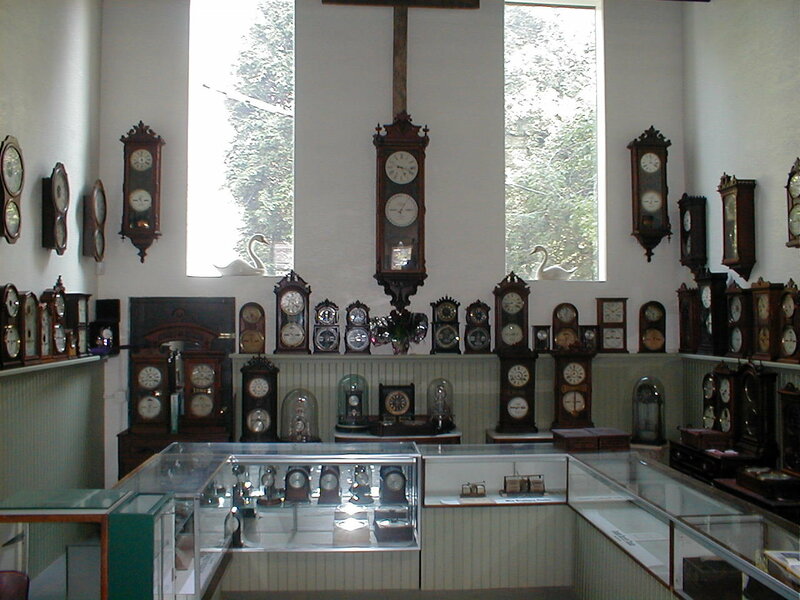 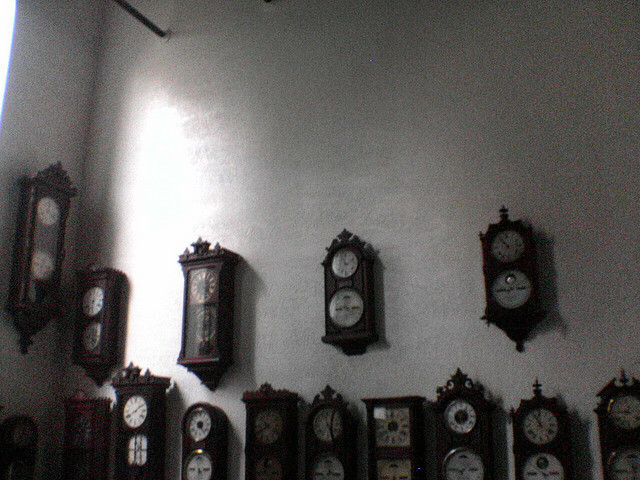 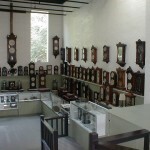 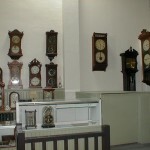 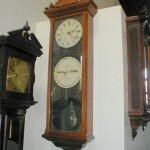 The Ithaca Clock Museum was started by Ralph Thorpe. 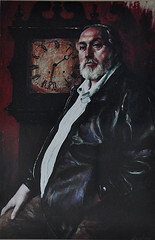 Ralph was a local landlord and junk shop owner. 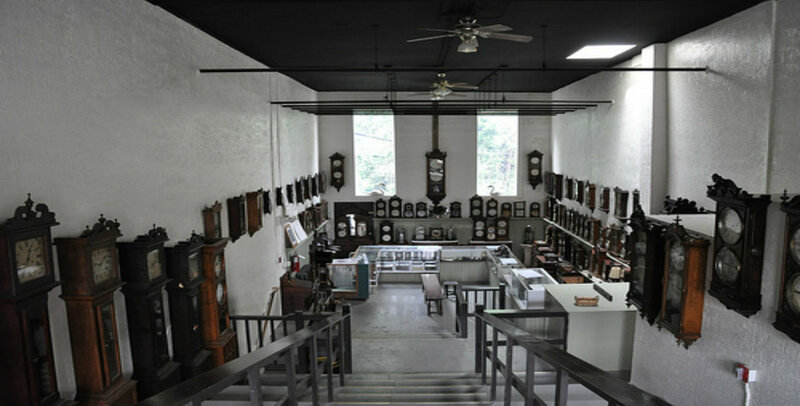 Part of Ralph’s junk shop business was cleaning out basements and garages. 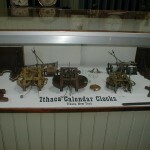 Over many years of cleaning basements he ended up collecting many Ithaca calendar clocks. 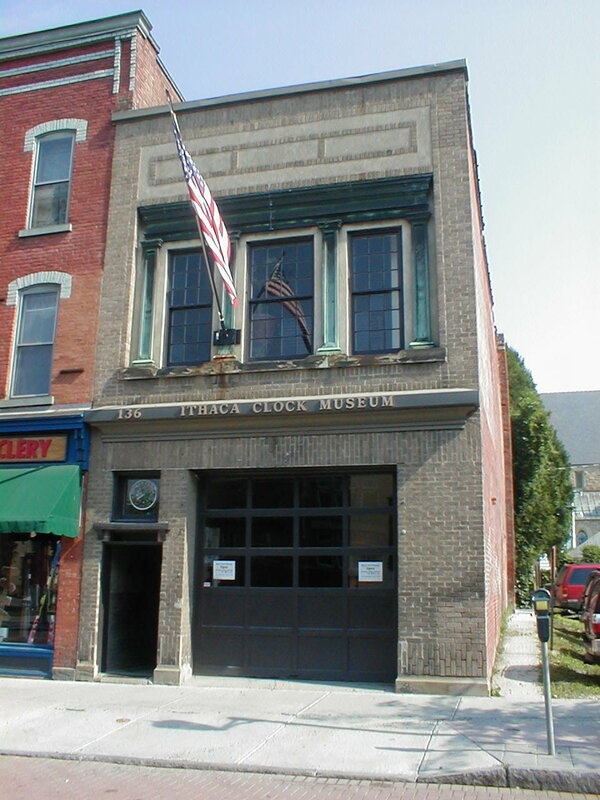 In 2002 Ralph purchased the old #5 Firehouse at 136 W. State Street in Ithaca N.Y. 14850. 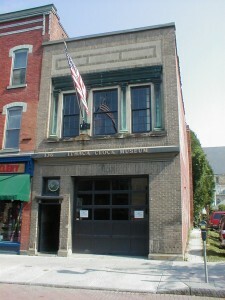 The building dates from 1882 when it was used as Fire House Number 5. 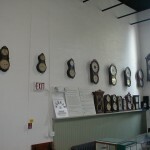 From 1993 to 2002 it was home to The Firehouse Theatre. 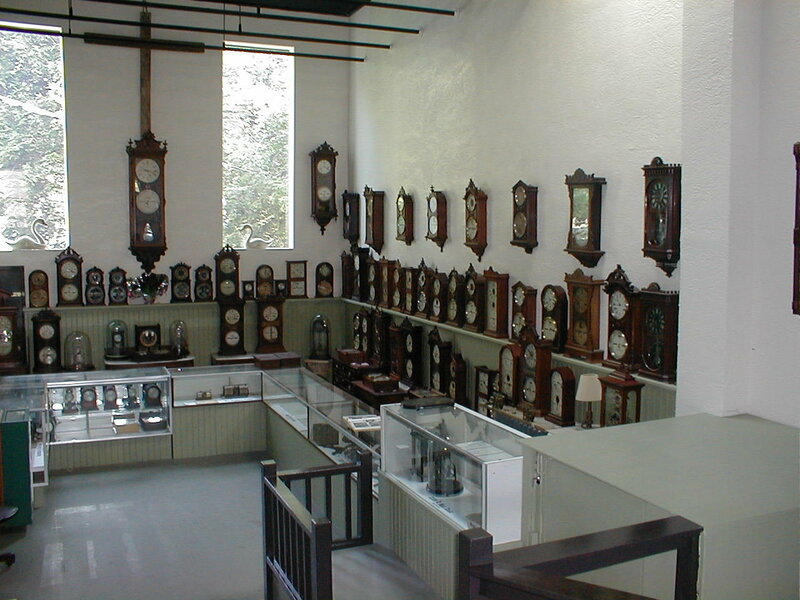 Then in 2003 Ralph renovated and turned it into the museum. 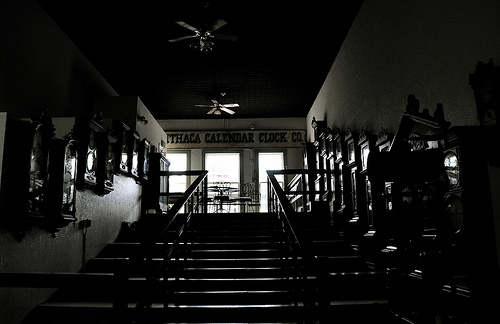 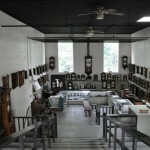 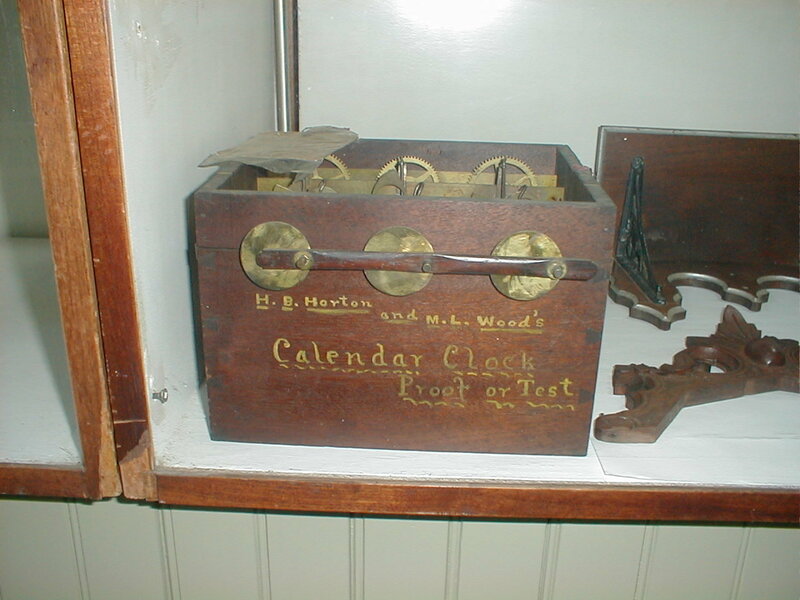 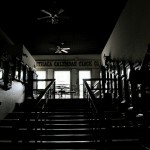 He had a collection of at least 150 original Ithaca calendar clocks, of which the best were in the museum. 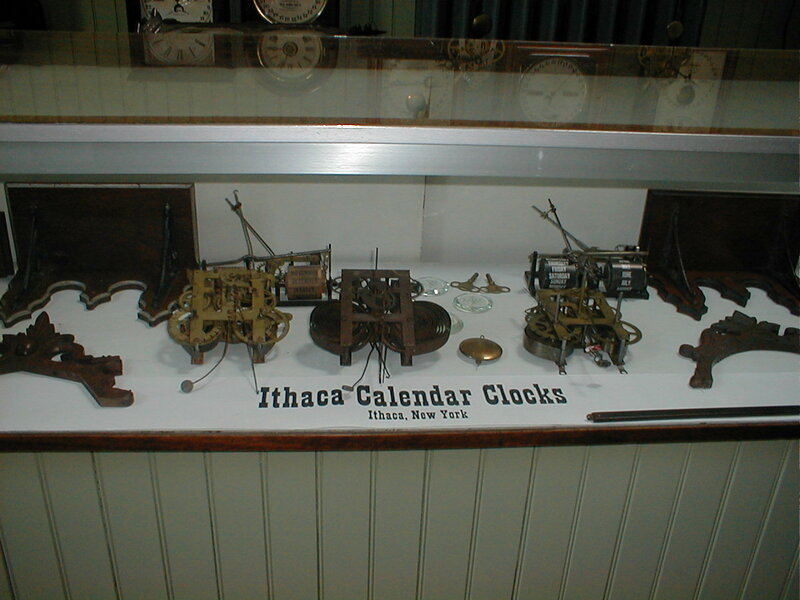 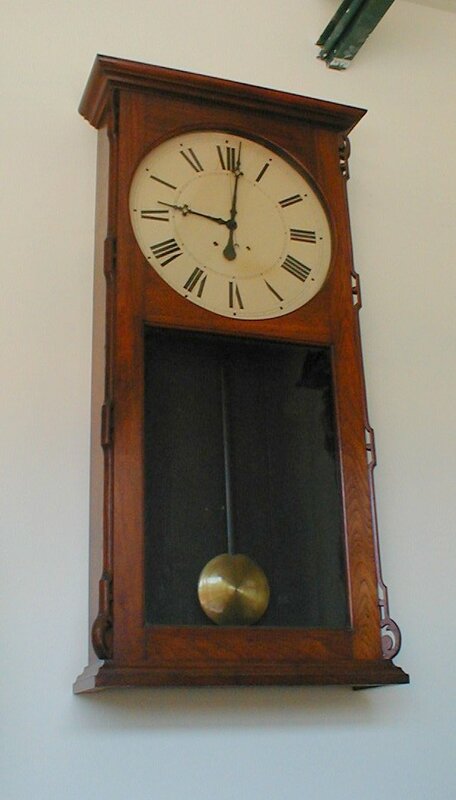 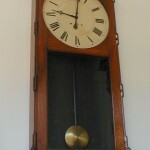 Clinton and Mood, the Mix Brothers, Joseph Burritt, and the Morse Chain Company’s battery operated Poole Clocks were also on display and were all made in Ithaca. 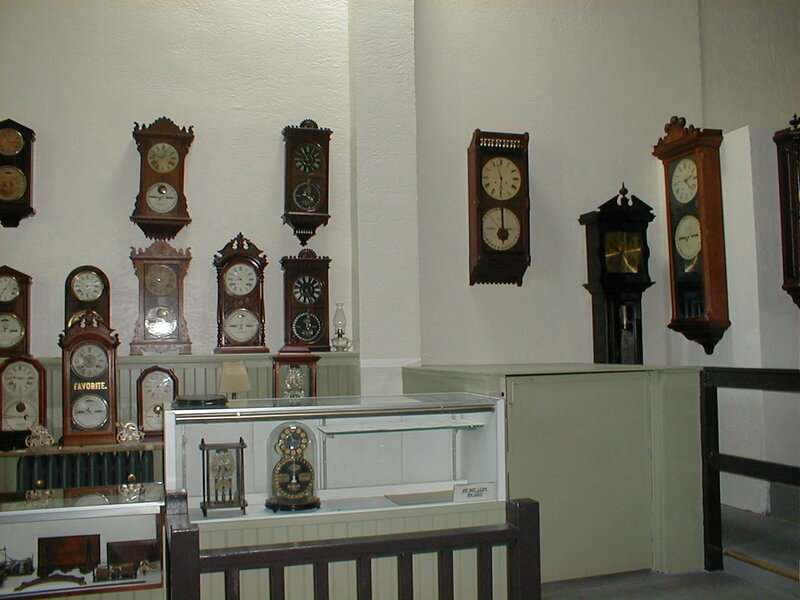 Ralph had on display the best collection of Ithaca grandfather clocks. 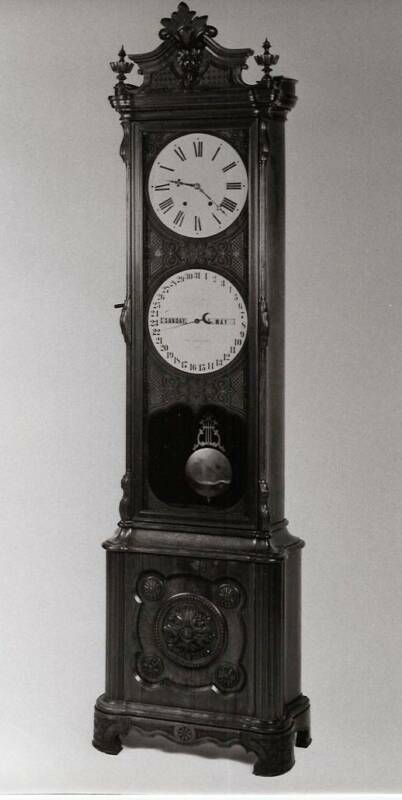 Most were the standard grandfather without the calendar movement, but he did have five of the very rare grandfather double dial clocks. 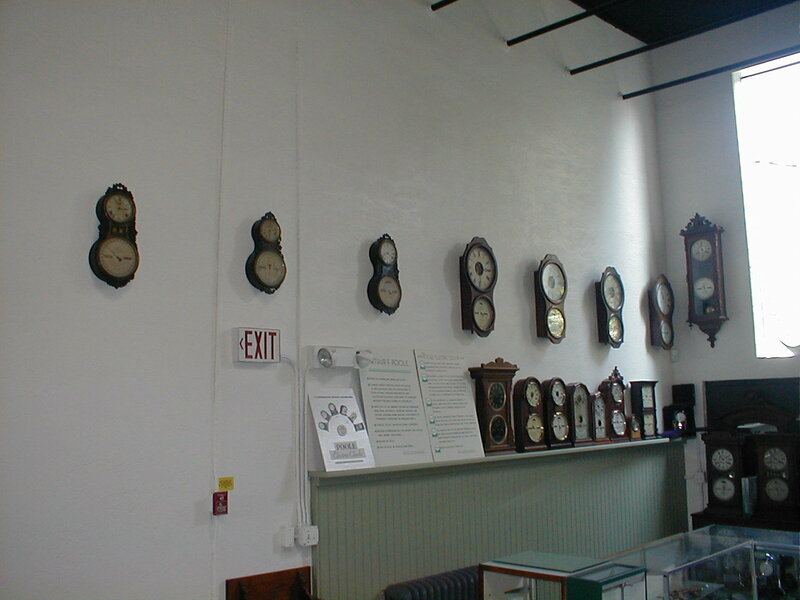 Ralph died in September of 2009 at the age of 68 and the museum was closed and sold off. 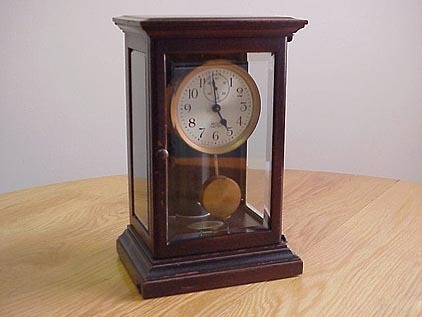 Case with movements removed. 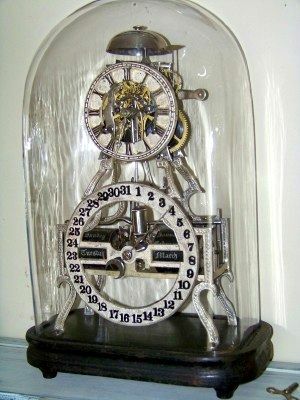 You can see Ralph in the reflection on the glass. 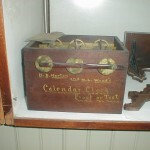 Museum pictures courtesy of Joel Warren If anyone has pictures of the museum we would love to add to what we have.